As a new mom, chances are you've heard the "breast is the best" mantra more than you'd like to admit. In all fairness, though, breastfeeding is the best way to sneak a plethora of nutrients into a newborn's body. More than that, exclusive breastfeeding(1) has evolved into a powerful “weapon” in a mom's arsenal, leaving no room for solids until the baby is 6 months old. But, have you ever wondered why you are instructed to delay solids for so long? These seven science-backed reasons will help you understand why delaying solids is actually a good thing. Pediatricians are clear: Newborns should only feed on breast milk or formula until they turn 6 months old. However, despite the growing warnings, CDC(2) found out that many moms tend to introduce solids well before their babies' bodies can handle it. Specifically, only 1 in 4 infants is exclusively breastfed during the first 6 months of their life which puts the expert-approved guidelines to second place. But, why moms make such mistake? One of the reasons why moms act against the medical recommendations in regards to breastfeeding is because they are not aware of them. That means that, in some cases, they are not provided with enough guidance to pull through such practices which may be due to physicians' lack of counseling on infant feeding(3). That being said, there's an urgent need for pediatricians to spread the word on proper solid food introduction. Moms also resort to solids when they can't buy baby formula on the reg(4). 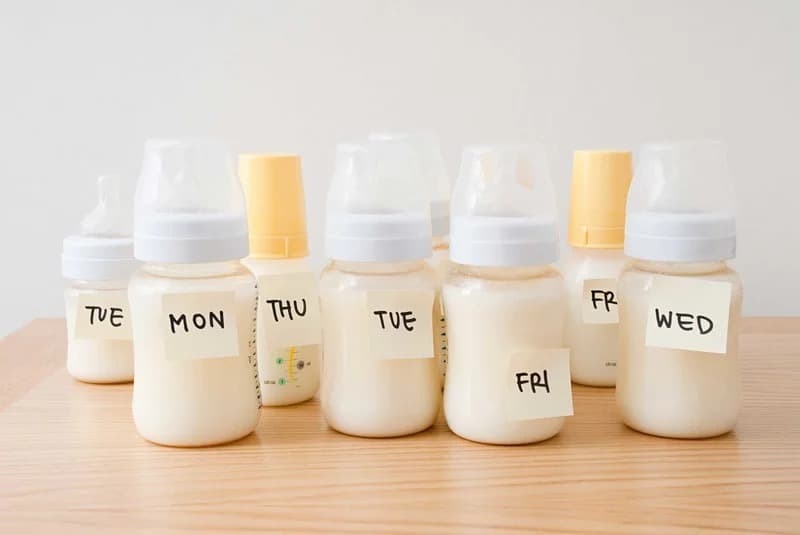 Truth is that this baby product is not cheap, so replacing it with solids earlier than advised is an effective way for many families to save a pretty penny. It's worth noting, though, that making such discounts on your baby's nutritional needs may backfire down the line. Persistent (and often unfounded) myths are also the reason behind early solid food introduction. So, when babies don't gain enough weight(5), moms think that stuffing their little ones with calorie-laden foods will do the trick. Unfortunately, babies have yet to develop their gut flora which means they don't process grown-up food properly and end up having diarrhea. With more and more pediatricians supporting the concept of exclusive breastfeeding, it's hard to ignore the benefits that come with this approach, especially when they are backed by science. Still confused as to which these benefits are? Don't fret just yet! This well-rounded list will help you understand why delaying solids is the way to go. According to research(6), breast milk contains a variety of active immune components which are usually found in the forms of proteins. These nutrients are specially designed to stimulate your baby's neonate tissues/organs and, thus, enable her to develop an independent immune system down the line. But until that happens, breast milk(7) and its powerful immune components make sure the baby is protected against harmful pathogens. Specifically, the immunomodulators in human milk(8) are linked to a decreased incidence of respiratory infections as well as long-term afflictions such as asthma(9) and wheeze. Exclusive breastfeeding also reduces the chance of infant ear infections(10) by 43%. Last but not least, feeding your baby nothing but breast milk for the first 6 months of her life reduces the risk of Sudden Infant Death Syndrome(11) (SIDS) by 50%. Home to about 100 trillion microorganisms, the human microbiome(12) hosts a balanced combination of good and bad bacteria which work together to promote the function of your digestive system. According to research(13), the colonization of the gut bacteria in infants begins well before the baby comes to the world but evolves massively once she's out of the womb. That occurs because the newborn gets in touch with mom's microbiota from skin-to-skin contact and -most importantly- breast milk. In fact, experts(14) claim that the human milk is packed with a diverse population of microbes which favor the bacterial growth once inside a baby's gut. Some of the most active compounds of this miracle food include probiotics, antibodies, and tons of prebiotic-rich sugars(15) which are specially designed to feed your baby's good bacteria. 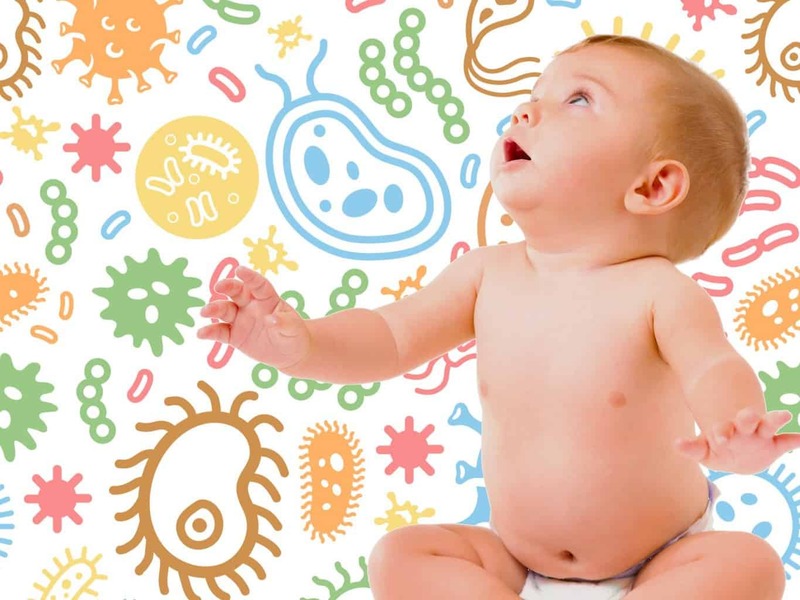 And since newborns can't really digest sugars, the sole purpose of these prebiotics is to feed and populate the beneficial gut bacteria (see: Bifidobacteria and Lactobacilli(16)) which can help the baby build a robust immune system and absorb nutrients down the line. Over the past few decades, childhood obesity(17) has evolved into a major public health issue. From genetic factors to dietary habits to personal behaviors (limited physical activity, lots of hours spent in front of a TV, etc. ), there are a lot of causes behind this growing public health concern. Researchers have investigated a variety of methods to prevent the epidemic from spreading, and exclusive breastfeeding is considered amongst the top solutions. That being said, studies(18) show that babies who are fed nothing but breast milk during the first 6 months of their life are less likely to become overweight/obese in the future compared to their formula-fed counterparts. The World Health Organization(19) (WHO) takes it a step further and advises moms to breastfeed their babies until they turn 2 years old for optimum results. Even though breast milk is heralded as a miracle food by most pediatricians, some researchers have expressed their concern about the milk's ability to maintain a baby's iron status in tip-top condition. Specifically, back in 2001, a WHO committee(20) suggested that infants who were fed nothing but human milk are most likely to develop iron deficiency. On top of that, one study(21) from the early 90s concluded that the risk of anemia in exclusively breastfed newborns was way higher than in formula-fed babies. That being said, moms were instructed to provide their little ones with iron supplements (usually in the form of drops) from 4 months of age. But, that was then. These days, research(22) proves that babies who feed exclusively on human milk for 7 months and more have significantly higher hemoglobin levels than babies who start eating solids before they reach the age mentioned above. In fact, introducing iron-fortified foods and/or supplements during the first 6 months of a baby's life may reduce her potential to absorb iron efficiently. 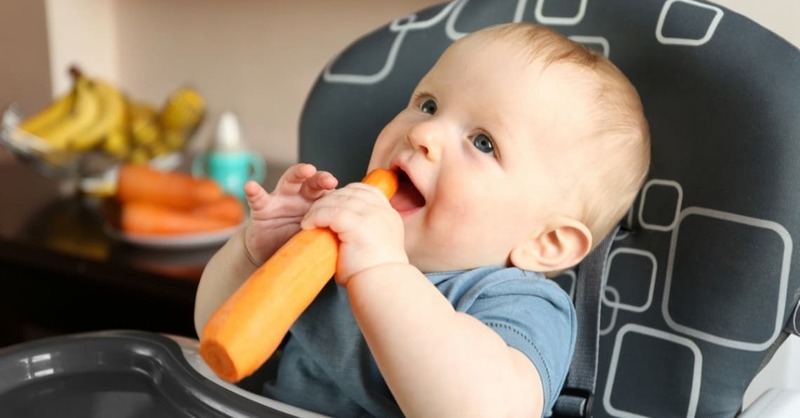 ​Choking is one of the most common side effects of early solid food introduction. This natural reaction is triggered by the baby's innate tongue-thrust reflex(23) which urges the tongue to push large chunks of food out of the newborn's mouth and basically sparing her from choking. The deeper meaning of this reaction is that your little one is still not ready for solids, which leaves you no choice but to stick to exclusive breastfeeding. Providing your little one with nothing but breast milk helps you avoid any kind of choking hazards and minimizes the chances of her gagging or choking. In an era when many fatal diseases have gone extinct, pneumonia(24) is still considered the leading cause of child mortality. Luckily, studies(25) suggest that certain feeding practices, including exclusive breastfeeding during the first 6 months of a baby's life, can significantly reduce the risk of pneumonia among infants and young children. One way to prevent child pneumonia even further is to continue breastfeeding your child until she reaches 24 months of age. Plot twist: Babies are not the only ones who benefit from exclusive breastfeeding. According to research(26), nursing moms have a longer period of amenorrhea following delivery than those who don't. And before you panic, note that this postpartum infertility is temporary and 100% normal as the female hormones channel most of their energy towards milk production. The duration of this amenorrhea is also quite variable and depends on several factors, from your age to just how long and frequently you feed your little munchkin. On that note, experts(27) suggest that moms who breastfeed their babies at least 5 times a day and have a total suckling duration of 65 minutes daily have very little chance of conceiving. This out-of-the-box approach is actually an excellent contraceptive option for moms who are not ready for another baby just yet. From breaking down food to absorbing nutrients and sending them into the bloodstream, the small intestine(28) is a crucial part of the digestive system in both adults and infants. This complex yet remarkable organ features a layer of epithelial cells(29) which form a luminal lining. The said lining is responsible for absorbing all the right nutrients and allowing them to enter your bloodstream. During the first months of a baby's life, this membrane(30) is still not fully developed which means it allows massive amounts of proteins to pass through. For some, this may seem like a good thing, but the uncontrollable absorption of such nutrients may cause all types of issues, especially if a baby's diet is rich in allergens. Meanwhile, breast milk(31) is packed with immunologic components such as IgA which is an antibody that coats the small intestine epithelium and keeps allergens from reaching your baby's bloodstream. That's actually why newborns who are exclusively breastfed are less likely to develop allergies(32) than infants who are also fed on formula milk. Not only that, but the risk of allergic diseases such as eczema and asthma(33) is higher in babies who breastfeed for less than 6 months compared to children with prolonged breastfeeding duration (more than 6 months). 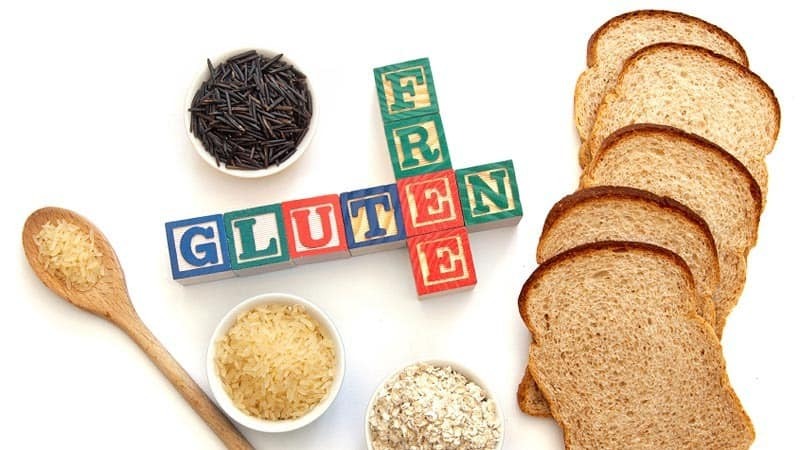 Defined as a permanent intolerance to gluten, coeliac disease(34) (CD) is a long-lasting enteropathy that causes a variety of digestive issues which ultimately lead to the malabsorption of nutrients. While many believe that gluten intolerance is influenced by genetic factors, recent studies(35) suggest that following certain infant feeding protocols may actually suppress the development of CD during the early stages of a baby's development. Specifically, one study(36) mentions that the gradual introduction of gluten-containing foods into the diet of a newborn while she's still breastfeeding can significantly reduce the risk of coeliac disease in early childhood and possible later on in her life. That being said, it doesn't matter when you introduce gluten to your baby as long as she's exclusively fed with breast milk(37) and not infant formula or other milk products. But, not all researchers share the same opinions. In a more recent study(38), experts claim that the delayed gluten introduction along with non-stop breastfeeding are the key to tackle CD symptoms. Unfortunately, they are not sure whether this feeding practice just delays the expression of the symptoms or provides life-long protection against the disease. Despite the promising results, further research is necessary to establish whether breastfeeding is an effective way to prevent coeliac disease during the early stages of a baby's life. Deciding how to feed your baby can be downright confusing. Between breast milk, infant formula and solids, the options are limitless, making most of us wonder which foods are actually worthy of our munchkins' menu. Luckily, science makes our decision a tad easier by suggesting we exclusively breastfeed our little ones up until they turn 6 months old. 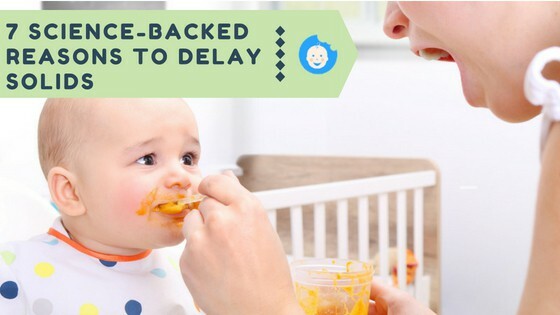 From boosting your baby's immune system to preventing obesity from occurring to minimizing the risk of choking, the benefits of delaying solids are multiple, and it's high time you reaped them as well. So, what do you think? Is exclusive breastfeeding a cure-all for your baby's future health? Share your thoughts with me in the comment section below and please share this article with fellow moms who are having second thoughts about breastfeeding. We should all do our part to help spread the word about the benefits of delaying solids. We owe it to our babies!